Our esteemed Ashden judges have extensive experience in sustainable energy, with a wide variety of backgrounds. Find out more about their credentials below. Giles is Director of Programmes at Ashden, overseeing the judging process and programme work and representing Ashden at events. 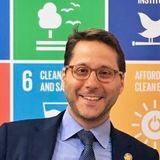 He was previously in charge of the delivery of ‘system innovation’ strategies in Food and Energy at Forum for the Future - a sustainability non-profit that works globally with business, government and others to solve tricky sustainability challenges. 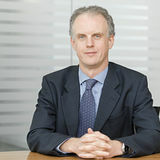 Prior to joining Forum for the Future in 2012, Giles was Chief Executive Officer at Carbon Leapfrog, and was a senior environmental lawyer for Slaughter and May. Giles has a Masters in Energy Policy and Sustainability from the University of Exeter and completed a thesis on financing renewable energy. Sarah has been an internationally recognised leader in the field of sustainable energy for the past 20 years. She is best known for founding the Ashden Awards for Sustainable Energy in 2001. As Founder Director of Ashden, Sarah is a regular contributor to UK and global policy debates in the field of sustainable energy and an active member of the UN’s International Sustainable Energy for All Practitioner Network. She is also a trustee of Client Earth. Emma has an MSc in Environmental Technology and 18 years’ experience in the field of sustainable energy. Her specialism is the role of local authorities, housing providers and community organisations in reducing carbon emissions and fuel poverty. She is currently a partner at CAG Consultants where she leads a number of projects for clients including BEIS, the Local Government Association and UK Power Networks. 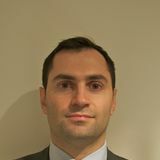 Matthew is a chartered mechanical engineer, with an MSc and PhD in Energy Policy from Imperial College London. He has previously been Vice President of the Energy Institute and Chair of Council of the British Institute of Energy Economics. 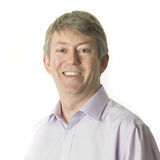 Matthew has thirty years’ experience of the challenges in delivering secure and sustainable energy services. His research has focused on decentralised energy supply systems and the role of demand-side management, exploring the environmental and economic performance of emerging technologies, and the roles for policy, in long term transitions to a low carbon economy. Ian has been responsible for building Impax since its launch in 1988, particularly the firm’s listed equity and infrastructure teams and investment products. In addition to his role as Chief Executive, Ian heads the firm’s investment committees. Prior to joining Impax, Ian was an engagement manager at McKinsey & Co. in the Netherlands, where he led teams to provide advice to clients in a range of environmentally sensitive industries. John Whitelegg is a visiting professor at Liverpool John Moores University’s School of the Built Environment and an associate at the Zentrum Für Mobilitätskultur in Kassel, Germany. He has had a long career specialising in sustainable development and transport. His latest book “Mobility” calls for the abandonment of what he calls the mobility paradigm and its replacement by an ethical, sustainable, child-friendly accessibility paradigm which supports the local economy, increases quality of life and is less costly than the current approach. Darren Shirley is Chief Executive of Campaign for Better Transport, a leading charity that promotes sustainable transport policies. 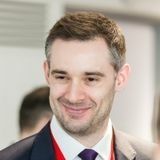 He leads the organisation's work influencing national, regional and local policy, and sits on a number of government transport working groups and the editorial board of two transport publications. He previously lead Which?’s campaigning on regulated and retail markets, including establishing its work on rail and aviation markets. Prior to this he worked for WWF-UK, Greenpeace and National Energy Action on sustainable energy policy and campaigning. He is also a Fellow of the RSA. Beverley is an innovation professional with over 30 years experience in the international energy sector. She specialises in accelerating innovation to market and scaling companies by providing strategic insights, developing industry partnerships and identifying novel ways to overcome barriers to entry. Beverley is a thought leader in the commercialisation of sustainable technologies. In 2006 she established CLT whose mission is “scaling transformative technologies for clean growth, sustaining our planet”. Her ambition is to create a better, sustainable world and she firmly believes that this will be achieved through innovation playing a transformative role in our economy. 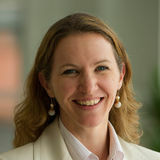 Emma Stewart, Ph.D., leads World Resources Institute’s global work on urban efficiency, climate, and finance. This includes the Institute’s research and technical assistance to cities worldwide on climate planning and financing, clean and efficient buildings and vehicles, and waste-to-energy. Prior to joining WRI in 2018 Emma lead software and sales teams creating and delivering sustainable design software. She founded and directed design software giant Autodesk’s Sustainability Solutions department, and led the equity investment in, and eventually business development for, start-up firm Impact Infrastructure, which automates triple-bottom-line cost-benefit analyses in order to cost-justify greener infrastructure. Mark has served as Executive Director of C40 since December 2013, during which time the organisation has grown from 63 to 96 of world's greatest cities. Mark is proud to head a fast-growing team of 150 staff in supporting bold, collaborative mayors to demonstrate that tackling climate change will deliver economically stronger and more equitable cities. Prior to joining C40 Mark was Director at pioneering engineering and design firm, Arup, and before that was a senior adviser to the Mayor of London. He reports to C40 Chairperson and Mayor of Paris, Anne Hidalgo, and C40 Board President, Mayor Michael R. Bloomberg. He believes that work should be fun, but that there is always time for music, narrowboats, and places you can get to by bicycle. Andrew has over 30 years experience working as both an employee, entrepreneur, senior executive and advisor in high-growth technology and cleantech businesses in the UK and California. He has been involved in three successful stockmarket listings in the tech sector (2 on NASDAQ and 1 on LSE) and he also has the benefit of the learnings from being involved with a number of start-ups that did not succeed. 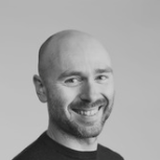 Andrew is the Head of Entrepreneurship at the Grantham Institute – Climate Change and the Environment and in 2012, Andrew founded the Accelerator activities at Imperial College London’s Centre of Cleantech Innovation. The centre has produced a portfolio of over 40 graduated climate positive teams who, between them, have raised over $140m in early stage funding. Prior to his work at Imperial, Andrew has spent time in corporate venturing, M&A and interim management. His academic field of interest is around the optimisation of success rates for early stage technology businesses. 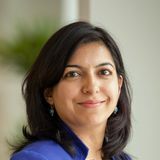 Anjali Mahendra is the Director of Research at the World Resources Institute’s (WRI) Ross Center for Sustainable Cities. Her core expertise is in urban transport and land use policies, and developing methods to evaluate their public health impacts, their impacts on equity and regional economic development, and their impact on emissions. She is responsible for leading WRI’s research agenda related to cities and ensuring the production of robust evidence to guide WRI’s engagements in cities around the world, across the three core work areas of the WRI Ross Center – urban mobility, urban land development, and urban efficiency and climate. 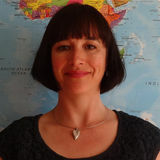 She is passionate about connecting research with practice and has worked in the U.S., Latin America, Europe, and India. She has published multiple guidance documents for decision makers in the U.S. on congestion pricing and is well-recognized in this area. Her most recent book chapter ‘Balancing accessibility with aspiration: challenges in urban transport planning in the global South” has been published in 2018 in the book ‘The Routledge Companion to Planning in the Global South. Anjali holds a Ph.D. in transportation policy and planning from the Massachusetts Institute of Technology. Lynne Sullivan is a practising Architect and founded sustainableBYdesign, finalists in all three 2010-2012 BRE-sponsored UK Passivhaus prototype Housing Competitions, and specialists in low-energy new and retrofit projects including an EU-sponsored demonstration project at Thamesmead to Passivhaus Enerphit standard. 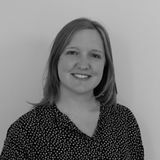 Previously Lynne was Sustainability Director for 9 years at Broadway Malyan, and for 10 years Associate Director at ECD Architects, where she was co-author and winner of the UK’s first government-sponsored Zero CO2 housing competition. 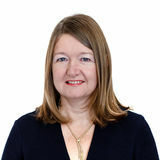 Lynne is now a Visiting Professor and design consultant, sits on local and national design review panels, and has authored and chairs a number of policy review and research projects for UK governments and others. She was awarded an OBE for services to Architecture in 2011, is Chair of the Good Homes Alliance, and is a member of the UK Government’s Green Construction Board. Sarah has been an internationally recognised leader in the field of sustainable energy for the past 20 years. 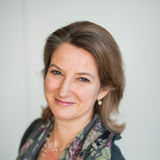 She is best known for founding the Ashden Awards for Sustainable Energy – now renamed Ashden – in 2001. As Director of Ashden, Sarah is a regular contributor to UK and global policy debates in the field of sustainable energy and an active member of the UN’s International Sustainable Energy for All Practitioner Network. 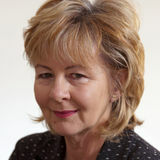 She is also a trustee of the sustainability charity Forum for the Future. Christine Eibs Singer is a champion of accelerated energy access, serving as Senior Advisor to Sustainable Energy for All. Christine is also a Technical Advisor to the Kenyan Ministry of Energy for the innovative Kenyan Off-Grid Solar Access Program (KOSAP) and a Senior Associate with Catalyst Off-Grid Advisors. She was on the founding leadership team of Power for All, a global campaign to accelerate decentralized renewable energy and a co-founder of E+Co, a pioneer in energy enterprise development and blended capital investment. Christine is a Director of SELCO India and a member of the Deutsche Bank Essential Capital Consortium Investment Committee. Ms. Singer spent 10 years at the Port Authority of New York and New Jersey, concentrating on the development of public-private partnerships. 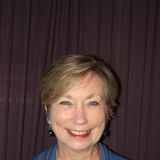 Ms. Singer’s recognitions include the 2007 Woman of Inspiration Award from Fairleigh Dickinson University, the 2011 Keystone Leadership Award for the Environment and an Honorary Doctorate of Humane Letters from New Jersey City University. Ms. Singer is an Ambassador Emeritus of the C3E Women in Energy Initiative and an Ashden Award International Judge. 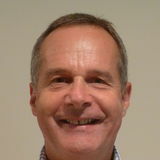 Dominic has overall responsibility for Christian Aid’s strategy, business development, program design and performance with governments and foundations. He has worked across Latin America, Asia and Sub-Saharan Africa on development and humanitarian programming. Dominic introduced an environmental management system to Christian Aid, including carbon footprint and greenhouse gas reporting on agency operations, and is an internal sustainability advisor and energy champion. 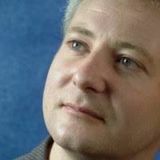 Andrew Reicher is an energy access and renewable energy investor/adviser, with wide interests across business angle investment in early-stage African energy access and large scale renewable energy projects in Africa and Asia, based on contact networks in business, finance and government. He is also a trustee for the Global Village Energy Partnership, WWF-UK and Caius House. 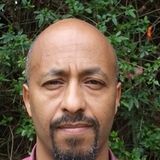 Yacob is a founding member of the African Climate Policy Centre (ACPC) at the UN Economic Commission for Africa (UNECA), where he worked as Senior Climate & Energy Specialist. He has 25 years of research, teaching and advisory experience specialising on the links between energy infrastructure provision and human welfare. He served as a Coordinating Lead Author of the Energy Systems chapter of the IPCC, a member of the core writing team for the IPCC synthesis report, Steering Committee member of UNEP’s Emissions Gap Reports, and lead author in the upcoming IPCC Special Report on Global Warming of 1.5C. He served in the drafting team of the African Renewable Energy Initiative (AREI), and continues to provide technical support for the initiative. 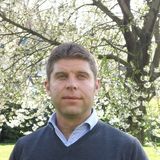 Adam Brett is a Director of Fullwell Mill Ltd, a business that markets the Tropical Wholefoods brand of Fairtrade and organic food products sourced from small farmers in Uganda, Burkina Faso, Pakistan, Ghana, Afghanistan, Tunisia, Zambia and Costa Rica. Fullwell Mill works directly with partners in these countries to produce a range of sustainably manufactured foods with a strong focus on sustainable and renewable energy and agricultural practices. Eugene Amusin engages with microfinance institutions, social enterprises, non-profits, multinational companies and investors to structure banking solutions that enable low-income communities to benefit from essential products and services. Prior to joining Citi Microfinance, Eugene had product management, product development, and technology responsibilities at Citi. Leslie Labruto leads Acumen’s $20M Pioneer Energy Investment Initiative. Leslie is responsible for driving strategy, portfolio construction, and thought leadership across Acumen’s energy investing work in West Africa, East Africa, India, and Pakistan. Leslie joined Acumen from the Clinton Foundation, where she served as Director of Clean Energy. 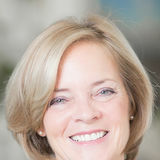 Leslie guest lectures at the London School of Economics, Imperial College, and Vanderbilt University, where she served on the Board of Trust from 2011-2015. Dymphna van der Lans is the Chief Executive Officer of the Clean Cooking Alliance. Dymphna brings more than 25 years of experience managing and leading global development, energy, and climate initiatives in the nonprofit and private sectors. Most recently, she led international corporate engagement with the World Wildlife Fund’s Climate & Energy team. Previously, she worked with the Clinton Foundation as CEO of the Clinton Climate Initiative. Dymphna has worked and lived in China, India, and Kenya and engaged with island nations in the Caribbean and the Indian and Pacific Oceans to support their transition away from polluting diesel fuels to renewable sources of energy. Jem Porcaro is the UN Foundations’ Senior Director for Energy Access. In this role, Jem leads the Foundation’s efforts to expand access to modern energy services in developing countries, and builds synergies with UN agencies and other key multilateral partners, especially Sustainable Energy for All. Jem has 15 years of experience working on global development, energy and climate issues. Previously, he worked with Nexant, an energy consulting company, in its government clean energy practice in Asia, where it advised governments and multilateral development organizations on clean energy finance and policy. Jem also worked for four years in the United Nations Development Programme (UNDP), helping to oversee its global energy portfolio and elevate clean energy access on the global development agenda. Jem received his master’s degree in international affairs, with a concentration in international energy policy and management, from Columbia University and a bachelor of science in civil engineering from Tufts University. Anjali's core expertise is in urban transport and land use policies, and developing methods to evaluate their public health impacts, their impacts on equity and regional economic development, and their impact on emissions. She is responsible for leading WRI’s research agenda related to cities and ensuring the production of robust evidence to guide WRI’s engagements in cities around the world, across the three core work areas of the WRI Ross Center – urban mobility, urban land development, and urban efficiency and climate. She is passionate about connecting research with practice and has worked in the U.S., Latin America, Europe, and India. 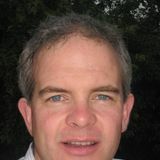 Glenn Pearce-Oroz is the current Director for Policy and Programmes of Sustainable Energy for All. 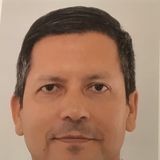 He began this position in September 2018 after 15 years with the World Bank where he worked in a number of capacities and Regions. Most recently, he was Lead Water & Sanitation Specialist for the Water GP in the Africa Region, based in the Nairobi Country Office, and previously managed the Water & Sanitation Program in Africa and Latin America for the World Bank. Over the past 18 years he has been working from country offices in Latin America, South Asia, and Africa. Glenn is now based in Vienna, Austria, where he leads the global policy engagement and programmatic strategy for SEforALL. Regina Vetter works at C40 Cities Climate Leadership Group as the Network Manager for the Cool Cities Network. The Cool Cities Network brings together cities that are active in the field of reducing the impact of rising global temperatures and extreme heat events. Regina supports cities to better understand the Urban Heat Island effect, as well as to share best practices in greening and cooling solutions in their cities. Dan Hamza-Goodacre is Executive Director of the Kigali Cooling Efficiency Program, a global initiative helping developing countries improve the efficiency of cooling as they reduce pollution from F-gases. Dan has worked on sustainable development in the public and private sectors across the globe for over 20 years. Prior to K-CEP, Dan was Director of Buildings and Industry at ClimateWorks. Before working in philanthropy, Dan was with PwC, where he served as Deputy CEO of the Climate and Development Knowledge Network, a multi-lateral aid program to help developing countries respond to climate change. Dan held various posts with the UK Environment and Agriculture Ministry, including: Head of the Secretary of State’s office; co-founder of the UK’s Adapting to Climate Change Program; Adaptation Policy Lead for the UK Climate Change Act and Sustainable Agriculture Advisor. Dan also worked for the UK Foreign Office as a Climate Attaché. 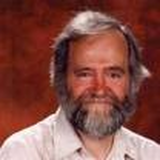 He is a regular speaker and moderator at conferences and events and has written widely on climate and development. Dan has an MSc in International Development from Bristol University, where he also lectured and researched global environmental politics. In his early career Dan lived and worked in the rainforests of Latin America. Lisa Bate is regarded as one of Canada’s global ambassadors for sustainable design. A former Director and Board Chair of the Canada Green Building Council, Lisa is the Chair of the World Green Building Council and was a representative to the United Nations’ Environmental Protection—Sustainable Buildings and Climate Initiative. In 2018, Lisa was named the winner of Canada’s Clean16 for the Building sector at the Clean50 awards celebration. In her role as Global Sustainability Lead at B+H Architects, she oversaw the design team responsible for the new Net Zero Carbon Design Certified Joyce Centre for Partnership and Innovation at Mohawk College in Hamilton, Ontario, an advanced net-zero energy, waste and water building and a Canadian pilot project for the CaGBC Zero Carbon Buildings and the WGBC Advancing Net Zero Initiatives. From 2012-2016, Lisa was based in Shanghai leading B+H’s China operations and advancing the global sustainability portfolio with projects including Astrazeneca’s Shanghai headquarters. Starting in 2010, Lisa demonstrated her management abilities as Principal-in-Charge of the B+H team for the 2015 Pan/Parapan American Games in Toronto, where she worked with Games organisers and Infrastructure Ontario to deliver 18 sport venues including seven major new athletics facilities within stringent schedule and cost constraints whilst achieving up to LEED Platinum EB:O&M certifications.